It adjoins the suburbs of Wollstonecraft to the north-west, Crows Nest to the north-east, and North Sydney to the east. It has extensive waterfront areas in Berrys Bay and around Balls Head. Section 2. Items listed by Local Government and State Agencies. 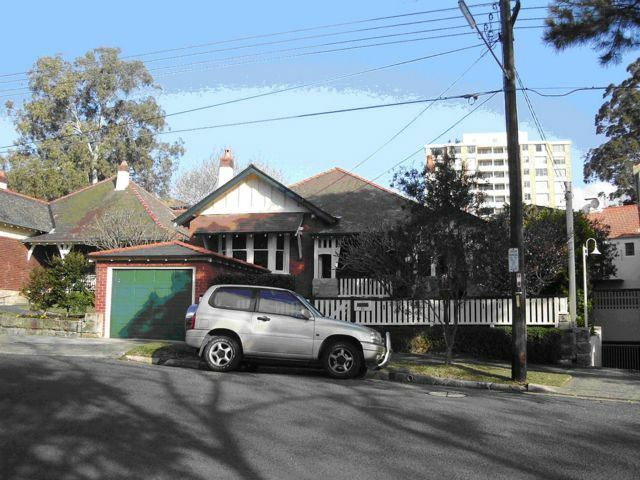 The suburb takes its name from Waverton House, built by Joseph Purser in 1845 on land purchased from Alexander Berry. William Carr and then his widow, Charlotte, owned the house from 1850 to 1865. The Old family owned it from 1865 to 1974, when the building was demolished. The whole of Waverton was part of the 524-acre (212-hectare) Wollstonecraft land grant which also encompassed present-day Wollstonecraft and part of Crows Nest. Edward Wollstonecraft, who was a business partner of Alexander Berry,settled on the north side of the harbour to escape the unhealthy living conditions of lower George Street in the city. He built Crows Nest Cottage around 1821. His partner Berry is best known for his large land holdings on the South Coast at the Shoalhaven River, around the township of Berry. Alexander Berry married Edward’s sister, Elizabeth Wollstonecraft, and after Edward’s early death in 1832, she became the owner of the estate. Upon her death in 1845, Alexander began subdividing sections of the estate. 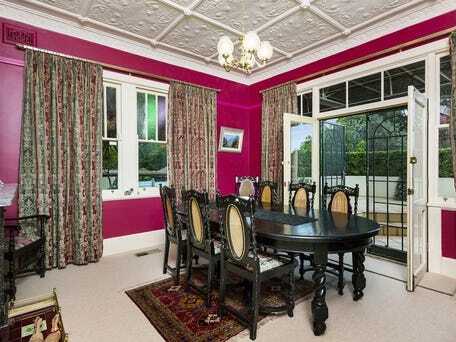 The sale of the land for Waverton House dates from this time. 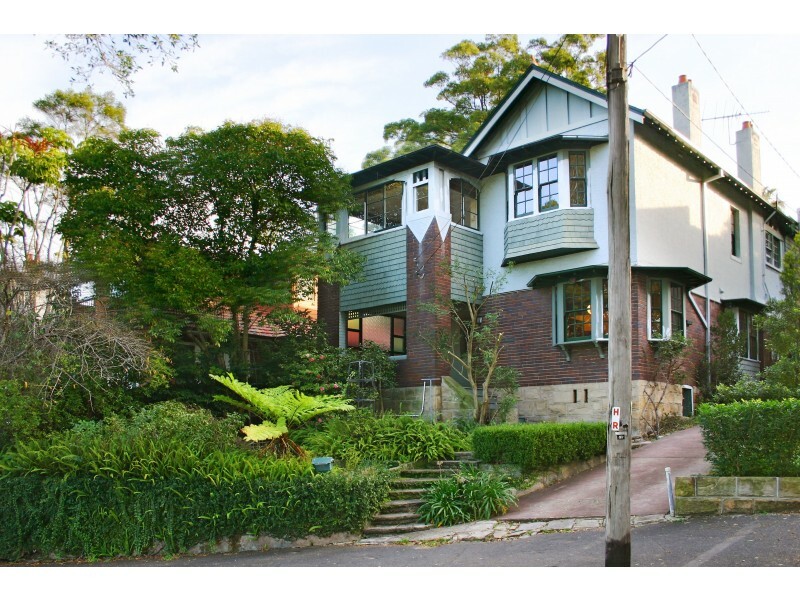 The gradual subdivision over a century from the 1830s to the 1930s profoundly influenced the character of Waverton. As areas were opened for development, each took on the dominant architectural and planning characteristics of the day. A sizable strip of the Berry Estate land was given to the colonial government for the construction of the Milsons Point to Hornsby railway, completed in 1893. The completion of Waverton railway station (then called Bay Road station) added to the commercial attractiveness of the land at Waverton, and Hay put several large subdivisions on the market. Amidst economic depression little was sold. In 1904 further subdivisions were created, with wide streets. Subdivision proceeded more rapidly under Hay’s ownership. After he died in 1909, Lady Hay approved further sales in 1911, 1913 and 1921. She died in 1931. There were three more subdivisions around Crows Nest House, subsequently called the Lady Hay estate, in 1931, 1932 and 1934. The housing stock on these various subdivisions changed from large Federation era homes to a mix of interwar Functionalist and Old English styles. “Privately nestled on a 715 sqm parcel of prime harbourside land by Balls Head Reserve, this authentically maintained, much-loved Federation home is set against an idyllic harbour and city skyline backdrop. Enjoying box seats for the fireworks, its sweeping views stretch from Dawes Point to Balmain and down into Berrys Bay. Offered for the first time offered in 25 years, this rarely available address is gracious and timeless and yet offers plenty of scope for transformation. “A property of soul, substance and style, this welcoming Federation beauty graces the streetscape within a popular urban enclave upon a rare 568sqm of manicured gardens. 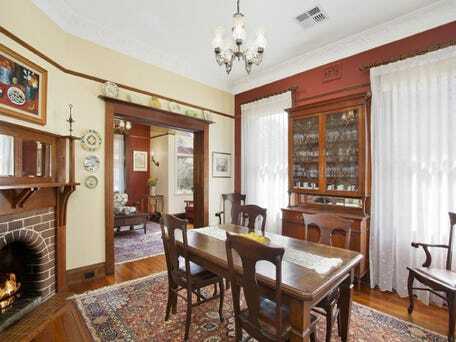 First time offered in 27 years, ‘Warralong’ remains true to its rich heritage. The original period details have been beautifully restored and emphasised with ornate ceilings, decorative architraves and intricate lead lighting adding to the allure and warmth of the interiors. Providing families with multiple living areas, the gracious formal lounge and dining rooms are both adorned with marble fireplaces whilst the family room extends out seamlessly from the open-plan kitchen. 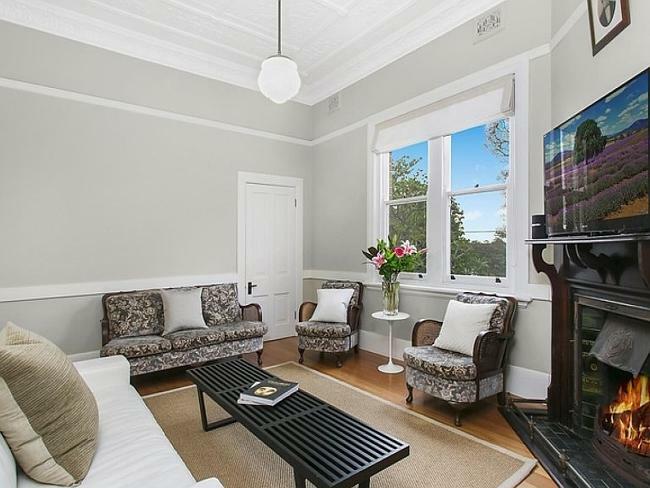 “Built in 1914, this beautiful double-fronted Federation home has been lovingly restored and revived with the highest regard for its architectural heritage and is ideal for modern family living. Graced with a wealth of exquisite period details and featuring a sympathetically designed cathedral-style extension, it rests amid idyllic established gardens in an exclusive setting on the edge of Waverton village. With a tightly held provenance and only ever three families in ownership, it exudes a wonderfully serene ambiance creating a welcoming and superbly functional home just 300m to the station. Gracing a highly sought after 493sqm parcel of land within a peaceful waterfront locale, this timeless Federation home perfectly frames the evolving vista of Sydney Harbour from its enviable elevated position. Idyllic by day and simply magical by night, the views are welcomed from the gracious lounge room and adjoining entertaining terrace. 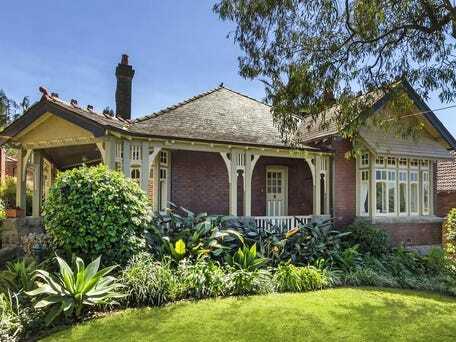 Retaining the grandeur of the early 1900’s, the property elegantly displays intricate pressed metal ceilings, ornate fireplaces, original timber floorboards and decorative lead-lighting. One of Waverton’s Finest Offerings. 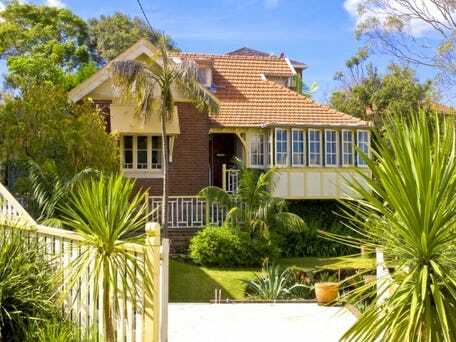 This Grand historic home has breathtaking views of the harbour over looking Balls Head Bay, surrounded with balconies where you can capture the glorious rays of sunshine and spectacular sunsets from every angle. Featuring 19th century inspired stained glass doors and a castle-like turret, giving this home fantastic street appeal. This home presents a spacious open floor plan offering a formal entry, separate formal lounge and dining, large gourmet kitchen with adjacent informal dining and family room. 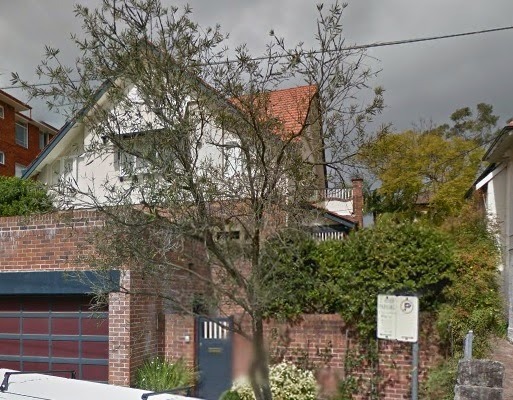 There is also a large retreat/rumpus room and separate au-pair accommodation/granny flat with internal access to a four car garage and cellar. 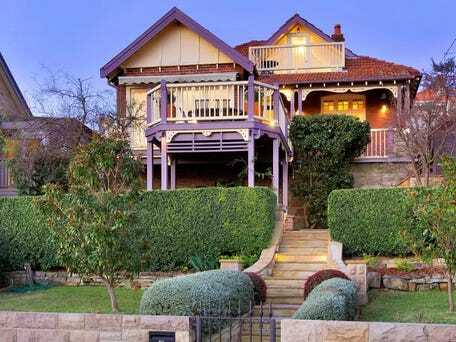 A HISTORIC Waverton home designed by the architect behind the iconic ‘The Astor’ building on Macquarie St, Sydney, is one of many Federation-style properties to hit the market of late. 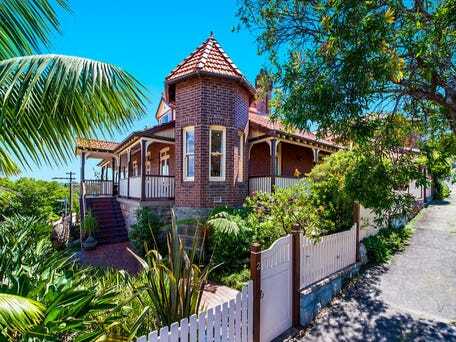 Built in circa 1912, the grand four-bedroom house at 8 Whatmore St sits on two of the four blocks of land that the original vendors owned on the street, then known as Fleay St. 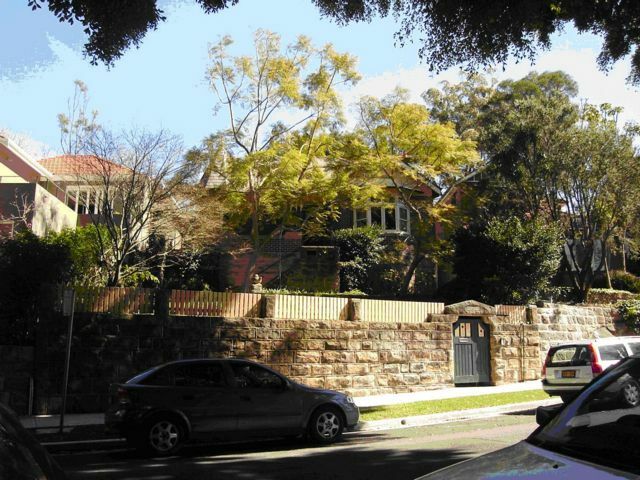 The historic Waverton estate, built circa 1912, is on a double block on what was once known as Fleay St.
“The architect behind its original design, Donald Esplin (one of the major architects of the late Federation period), is well-known for designing the landmark thirteen-storey building The Astor, which was built in 1923 and was one of the first residential apartment blocks in Sydney. Bought 10 years ago by the current owners, the home has been thoughtfully restored to its original state by architects Frank Walsh and Clive Lucas, Stapleton & Partners, which specialise in the restoration of historical buildings. 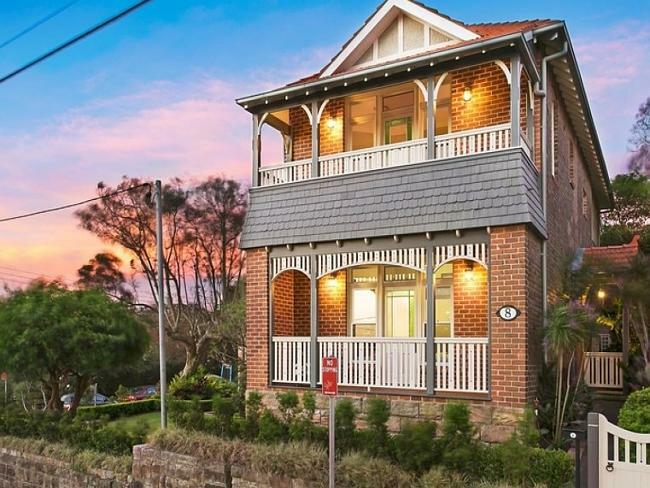 But the look and feel of the property today is a far cry from the closed-in, boxy house that lacked character over a decade ago, said selling agent Donovan Murphy of McGrath Neutral Bay. The owners engaged architects who specialise in the restoration of historic homes. Occupying a premier corner parcel in a tightly-held Waverton address, this tastefully renovated residence provides a contemporary family sanctuary of space and flexibility. 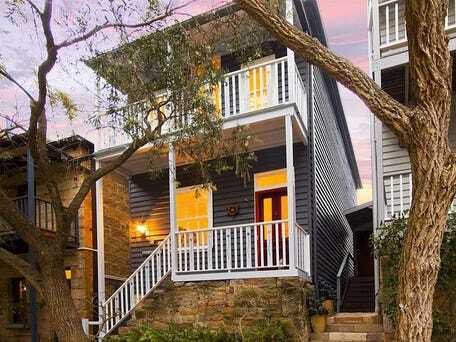 It is positioned a stroll to village shops, eateries and Waverton station. Introducing ‘Elouera’ – An exceptional and rare offering for tightly held Waverton, this Federation beauty is gracefully set upon approximately 700sqm of level land with a northern aspect at the rear. Seamlessly catering to the needs of everyday family life, the grand proportions and flexible accommodation options allow for fabulous versatility within the vast floorplan set over a single level. Carefully preserved and sympathetically refurbished, the splendour of Federation craftsmanship shines through, courtesy of the expertly preserved pressed metal ceilings, intricate leadlighting and stately room sizes. This building is designed in the Federation Filigree style. Fine and intact example of a Federation Queen Anne style bungalow with attractive leadlights and good timber decoration windows, and a generally well-expressed picturesque domesticity.